What type of travellers is this blog aimed at? There are also a number of shared taxis and Ubers that can take you there. Beaches, hot weather and wine. That’s what springs to mind whenever people think of the West Coast. And yes, you’ll find that here alright. But there’s so much more to it than that. In this blog, I’ll tell you exactly why the West Coast rocks, what you should do and what you should not, and most importantly, how to save money while you’re doing it. If you’re putting together your West Coast Holiday itinerary, then you’ll also get some great tips on how to get around. And boy, are you in for a treat. Last time I headed West, I ended up gazing into infinite mirrors, time travelling on a Tesla coil and witnessing a lockdown in Alcatraz. I’m not joking either. You’ll find your calling in the West, no matter what floats your boat. 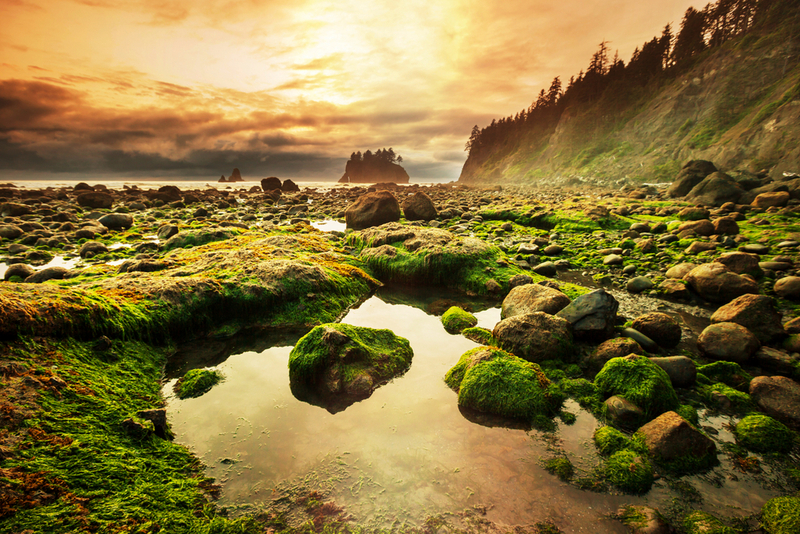 Regardless of whether you plan to surf the beaches of San Francisco, hang out with celebrities in LA or climb the rugged mountains of Portland, those little gems in the West Coast just can’t be found anywhere else. If you’re a somewhat organized traveller, you’ll see the value in putting together a west coast holiday itinerary before you travel. When you’ve only got a limited amount of time to spare, then it makes sense to plan your journey so you know you’re going in the right direction. The way I’ve structured this blog, is to list 3 main west coast holiday itinerary hotspots, with a whole bunch of ideas and tidbits along the way. And this won’t be a clone of all those ‘they got great beaches’ blogs either. You can find beaches all over the States. This blog is about what makes the West Coast different. So without further ado, let’s deep dive into the weird and wonderful world of the Wild West and the most awesome cities you’ll find there. For the sake of brevity, I’ve only included the top 3. 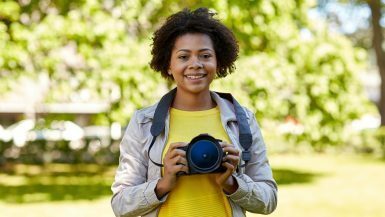 The Mainstream Tourist – this type of traveller prefers to stay very much on the beaten track and their favourite hotspots are the popular and famous attractions. The Weirdo – this type of traveller describes me to a tee. The weirdo has a taste for the odd, unusual attractions that are on the fringes of mainstream society. They’ve got no time for the tourist traps, they are very much off the beaten track. The Fringe Traveller – This type of traveller is kind of a mix between the above two. 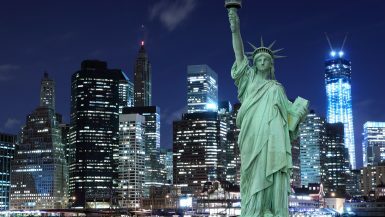 They crave the weird and the unusual mix of attractions available, but they occasionally dig the popular, tourist attractions and tours as well. Read more about the different types of travellers here. 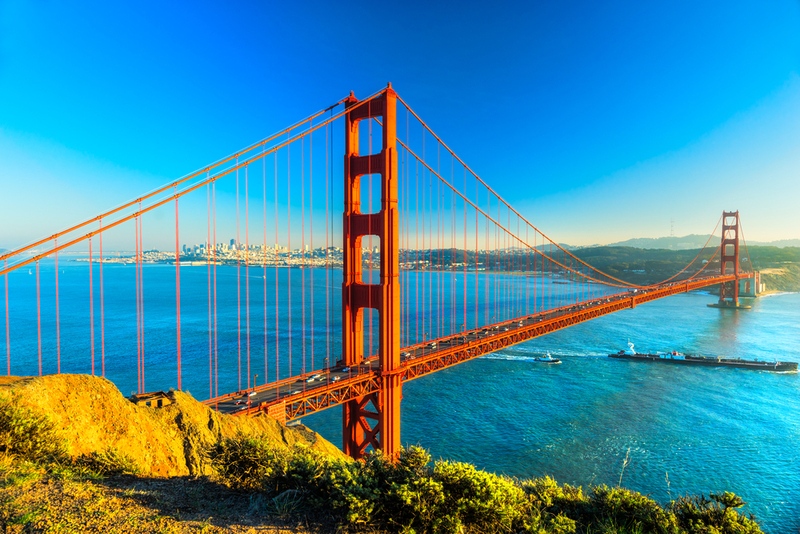 Some of the most beautiful cities in the world are located on the West Coast. I’m not usually super-hyped about city-hopping when I visit new countries, because I prefer green spaces, mountains, remote villages and jungles. San Francisco will surprise you in ways you don’t expect. While it is known for its famous orange bridge, 1000-acre park, and contemporary art exhibitions, there is so much more to this city. 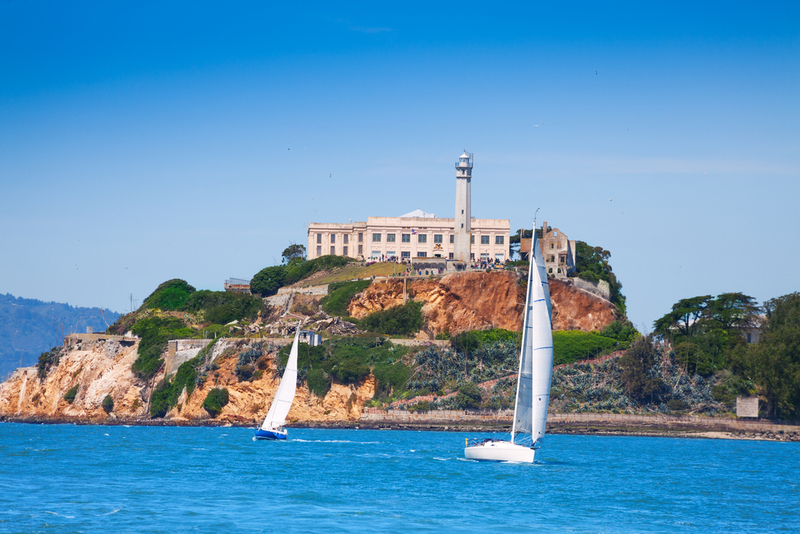 If you love well-known, mainstream attractions, then Alcatraz is a must. When most people think of San Francisco, they don’t immediately think of Alcatraz. But that’s exactly where I ended up when I took a side trip to this city. This infamous prison was the site of the first lighthouse in the Western United States but transformed into a federal penitentiary from 1934-1963. It housed famous convicts such as Al Capone and George “Machine Gun” Kelly. The hallways in Alcatraz are dilapidated and dirty. The cells were sinister and neglected. The energy and vibe of the prison was hostile and ominous. Yet despite that, I felt strangely drawn to the place. I scarcely heard the guided audio that was playing in my ears as I made my way throughout the prison. The prison told its own story. It’s haunted me ever since. The infamous prison island is part of the Bay Area’s 80,000-acre Golden Gate National Recreation Area. Alcatraz Cruises (alcatrazcruises.com) is the official ferry provider and tour tickets can be brought from their website. 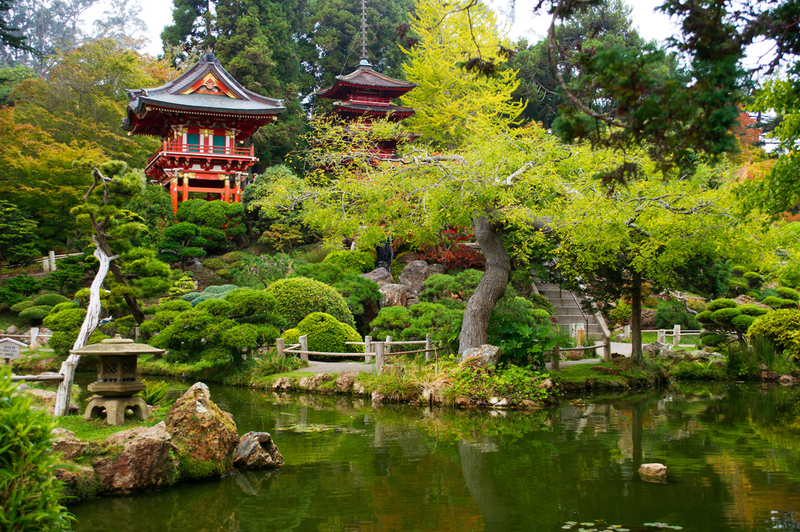 The Japanese Tea Garden was one of my favourite attractions in San Francisco. While it is true that you can find Japanese Tea Gardens in many cities across the United States, this particular garden is actually the oldest Japanese ochaya in the US. So if you like to strike a balance between a mainstream yet unusual natural attraction, then the Japanese Tea Garden is ideal. Based in the Golden Gate park, this attraction has a populist feel to it. But tucked away in the crevices of the natural, green landscapes, you’ll soon be whisked away from civilisation as you enter into a world of zen-like calm. Some claim that the tradition of the Japanese fortune cookie originated from this garden. In any case, the 5 hours I spent in that stunning, peaceful little garden made it one of the most memorable stops on my west coast holiday itinerary. The Big Bus hop on hop off tours will bring you straight to the Golden Gate Park and from there you’ll find plenty of signs and directions to the Japanese Tea Gardens. Have you ever gazed into infinity? 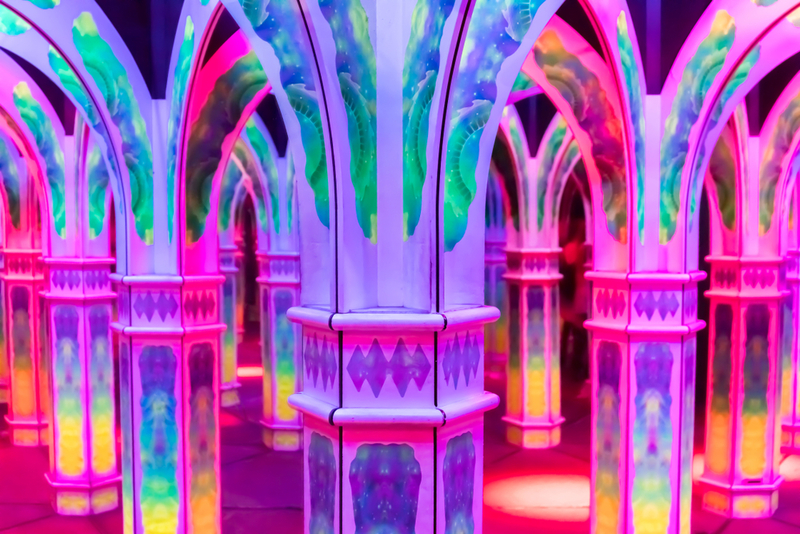 When you make your way through the Magowan’s Infinite Mirror Maze, you’ll end up stumbling through a colourful, disorienting dungeon of columns and mirrors, complete with rave music. This attraction is perfect for those with a taste for the unusual. If you want to be matched with an attraction that sits firmly on the fringes of your west coast holiday itinerary, then these infinite mirrors will leave you reeling. What you’ll experience is probably on a par with an LSD trip – but without the drugs. There’s only one word to describe this maze: enchanting. Los Angeles has it all. 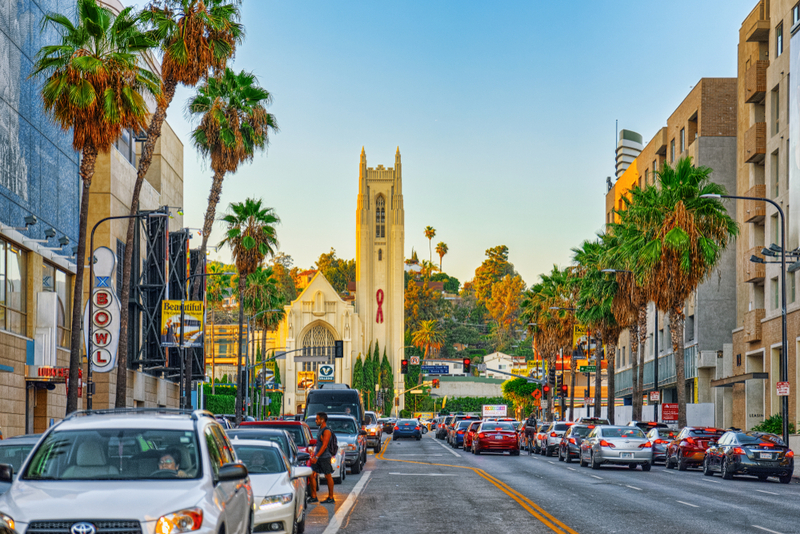 Known colloquially as LA, it is a curious mix of glamour, grittiness and ancient mysteries. It is a place where the worlds of the super-rich and super-poor accentuate the two different faces of LA and indeed, the USA itself. 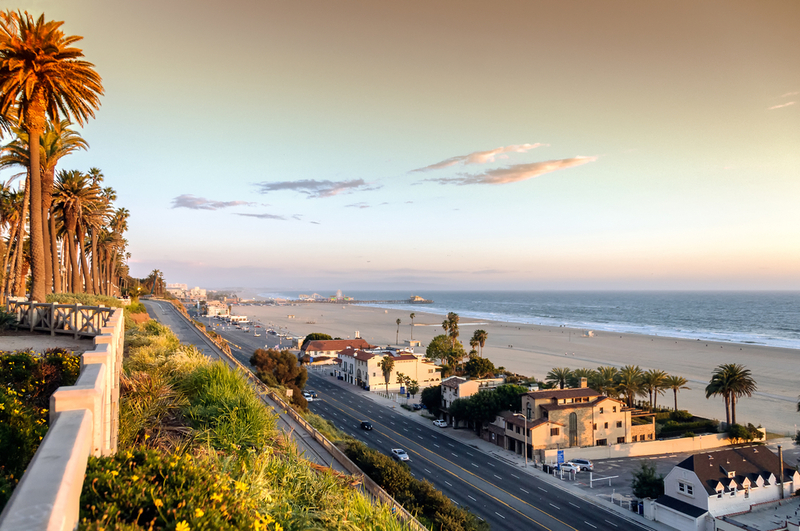 In LA, you’ll find hotspots for every type of traveller, with Hollywood being the draw for the mainstream tourist, while the Lost Sunken City will undoubtedly attract those on the fringes. 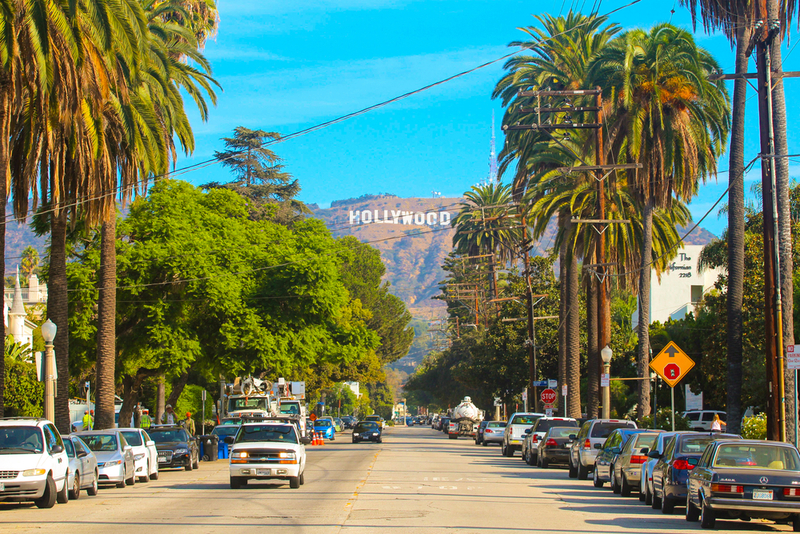 Hollywood deserves to take pride of place on your west coast holiday itinerary. It’s got the celebrities, the money, the glamour, theme parks and shops to die for! 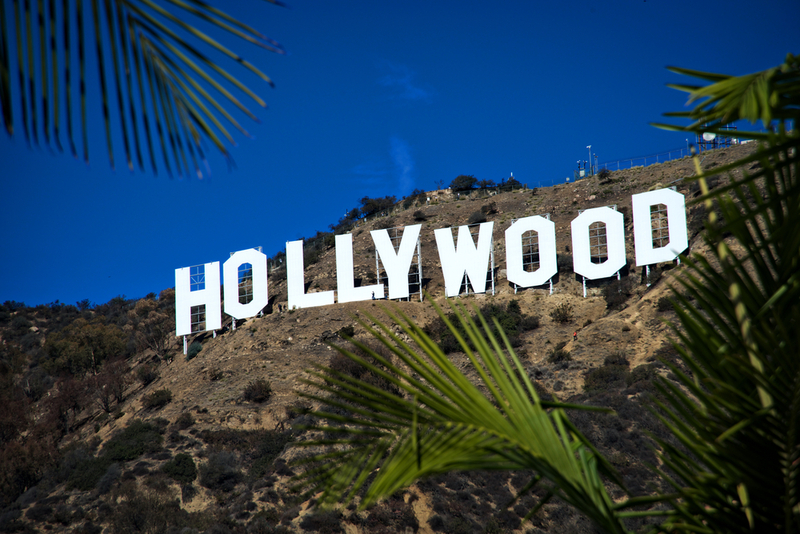 As the home of the US entertainment industry, no mention of Los Angeles would be complete without mentioning Hollywood. 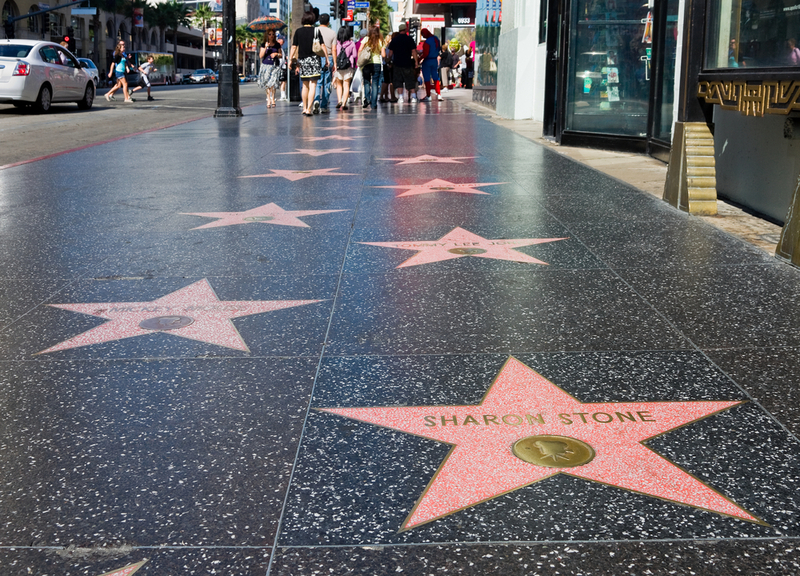 Once you get over the large crowds, over-enthusiastic superheroes and tacky gift shops, you’re bound to fall in love with celebrity history which are immortalized in the iconic Walk of Fame. As you make your way along the world’s most famous sidewalk, you’ll see immortalized names on those famous five-pointed terazzo and brass stars. You’ll also get more than your fair share of celebrity history. The organized walking tours help you to learn more about your favourite celebrities. 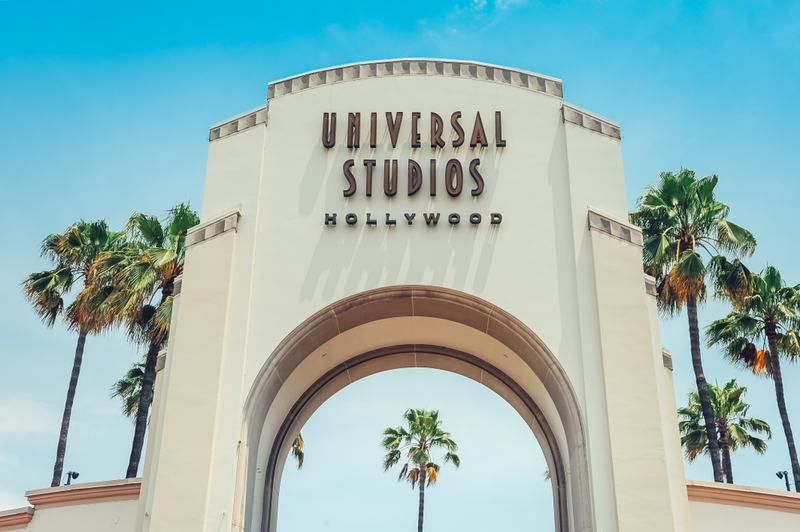 If you love Hollywood movies, then a side trip to Universal Studios is a must. The main theme is movies, and the attractions have integrated both classic and modern blockbusters into the mix. You can spend the entire day going on studio tours and rollercoasters, if you’re after a bit of a thrill. TIP: if you just want a behind-the-scenes tour, and you’re not that bothered about the rides, I’d advise you to skip Universal Studios and head over to the Warner Bros Backlot. 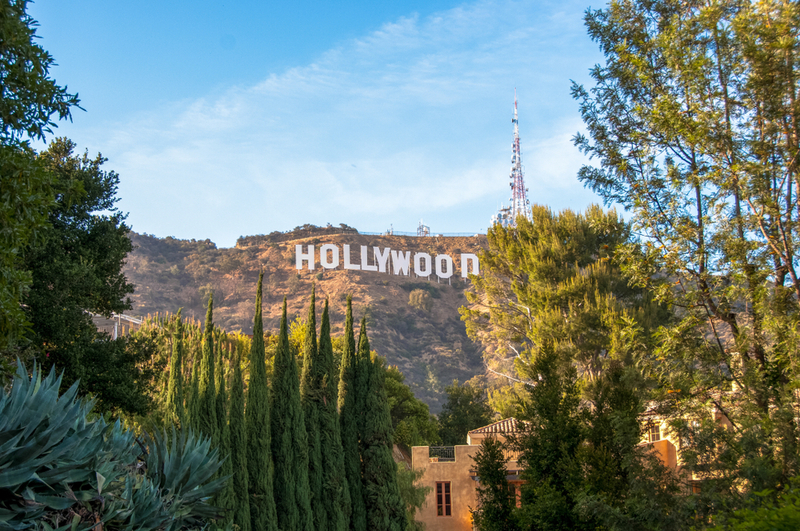 The Hollywood sign is one of the most famous signs in the world and you have simply got to see it if you’re in LA. You can catch a dead-on glimpse of the sign on Beachwood Drive, or farther up the hill near Lake Hollywood Park. The Tesla Coil is one of the more striking and unusual exhibits at the Griffith Park Observatory in LA. Its giant arcing sparks and unnerving noise makes it one of the observatory’s most fascinating and impressive exhibits. 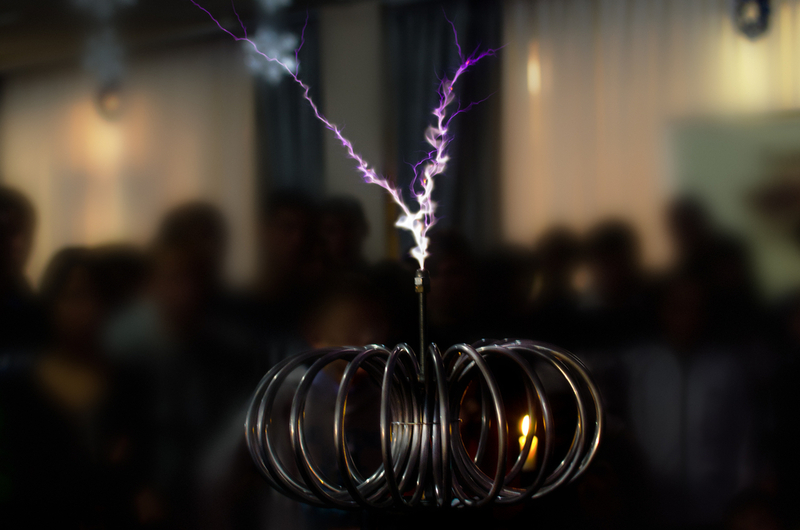 It was originally invented by the eccentric genius Nikola Tesla and was designed to transmit electricity through the air and provide electricity without using wires. Getting there is also easy. 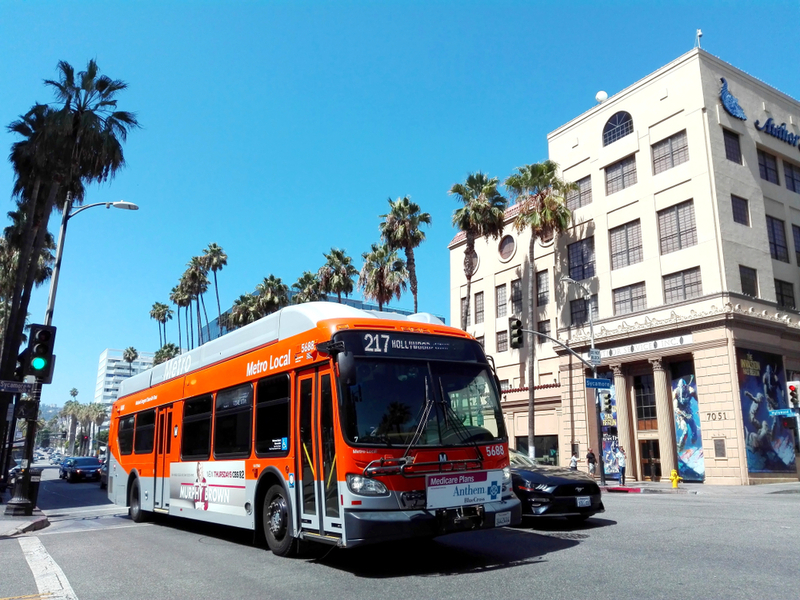 The Los Angeles Department of Transportation (LADOT) operates daily low-cost DASH Observatory public bus services from the Vermont/Sunset Metro Red Line station to the Observatory (see map at right). If you want a break from the crowded chaos of Hollywood, then alternate travellers may appreciate the Sunken City in Los Angeles. I initially wasn’t sure whether to include this on my west coast holiday itinerary, because it is somewhat forbidden and is not technically open to the public. But I just had to see it. 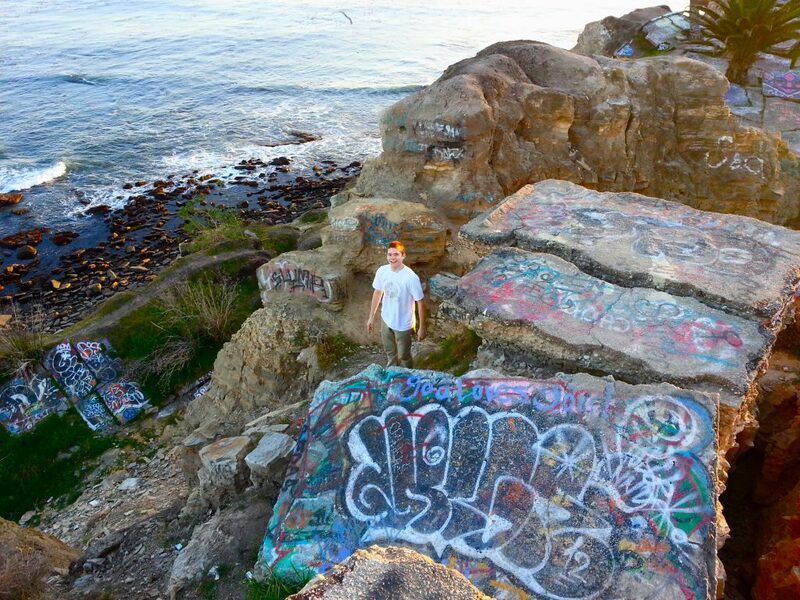 This Sunken City is comprised of the leftover remnants of the San Pedro landslide in 1929. It has subsequently appeared on films such as The Big Lebowski. What’s left of this historical landmark is an interesting cross between science and art. To get there, you can exit on Gaffey from the 110 freeway, turn left, and follow it until you reach Paseo Del Mar. Turn right, and stop at the 600 block. Seattle has an enchanting mixture of natural and man-made scenery. It’s got its fair share of mountains, city attractions and a smattering of unusual hotspots for the weirdos (like me). 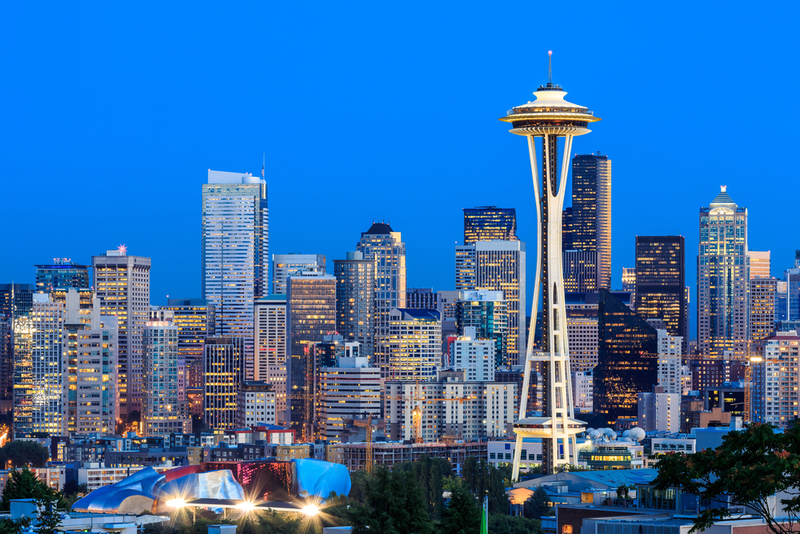 You can find an abundance of online blogs that talk about famous landmarks in the city such as the Seattle Needle, where you can take an elevator up and soak in the views of the surrounding landscape. I don’t know, for some reason, that just doesn’t turn me on. After all, plenty of cities have similar attractions right? I prefer to explore attractions that are a little more unique. So technically, this Olympic National Park is on the outskirts of Seattle. It’s located on a peninsula across the water from Seattle. This national park is a home fit for the Gods, hence being named after Mount Olympus. It takes you far away from the usual hustle and bustle of the city and transports you directly into a magical realm of lush green rainforests, wild beaches and waterfalls. If you are a nature enthusiast with a taste for adventure, then this is going to be an unforgettable stop on your west coast holiday itinerary. The park is located 2.5 hours from Seattle, and the easiest way to get there is to get a boat from Washington State Ferries, which includes the Bainbridge Island ferry or the Seattle-Bremerton ferry. The UPS postal service and the word ‘exciting’ does not naturally fit into the same sentence, but they sure know how to build a beautiful waterfall park. 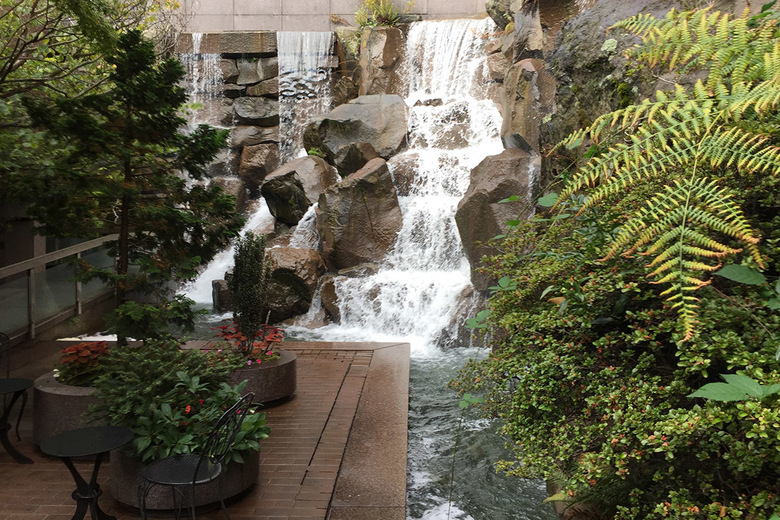 This man-made waterfall park is located next to the location of America’s first postal service and you can easily spend a half a pleasant day walking around the park and soaking in the scenery. If you’re an art lover, you’ll be able to appreciate the creativity of the exhibits you’ll find here. 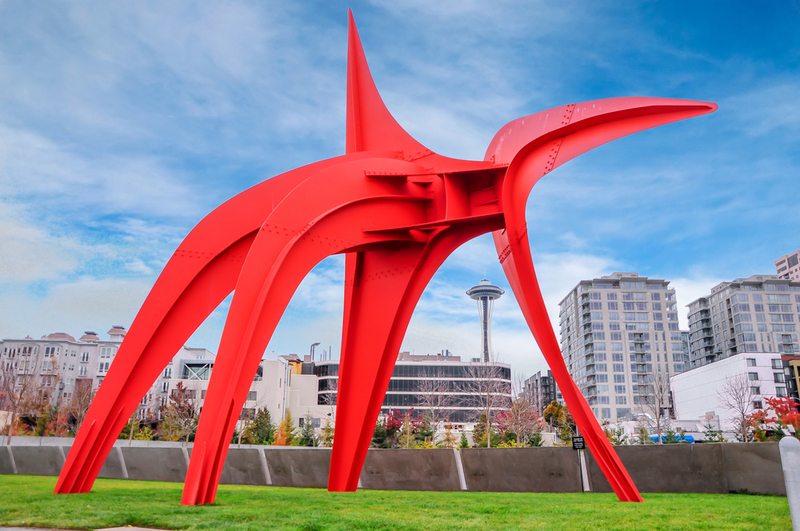 You can find the park west of Seattle Center. You’ll find an array of weird and wonderful statues – including ones that look like gigantic, elongated smokestacks, while others are smaller and humanoid. Essentially, it is like being on an alien sculpture planet. Admission is free, and you’ll find a number of buses and public transportation that can get you there. This includes bus number 13, 33 and 255. For more directions, click here. I’ve recommended many famous and not so famous destinations that you can include on your west coast holiday itinerary, but how do you actually get there? You’ll notice throughout the blog, I’ve recommended public transport such as buses and ferries where possible. You can check the bus times for the most popular routes here. Most of the attractions listed in this blog offer their own day passes, which provide discounted access to their facilities. You’ll also find these from many tourism boards and centres in the cities you are visiting. But actually, you may find it easier to get one pass that gives you access to dozens of attractions across the USA. One of the best deals I’ve found (and used) is the Sightseeing Pass. One of the main ways I saved money when travelling across the US is to stay in hostels, instead of a hotel. It is the difference between paying $20 for a dorm room and $50 for a dodgy hotel room. I used booking.com and hostelworld to find decent accommodation. For more information on how to find a good hostel, read this short guide here. I hope I’ve given you a lot of food for thought when putting together your west coast holiday itinerary. Planning a trip is never as easy as it sounds, partly because the choices out there are overwhelming. That’s why I included a section on the different types of travellers. Once you know what your holiday persona is, it becomes easier for you to narrow down the list. Most of the blogs I’ve read definitively claim that the East Coast of the USA is better than the West Coast. I beg to differ. The attractions I’ve listed in this blog are just the tip of the iceberg and there are dozens of places which I’ve left out, due to space/time considerations. If I were to include them all, we’d both be here all day. 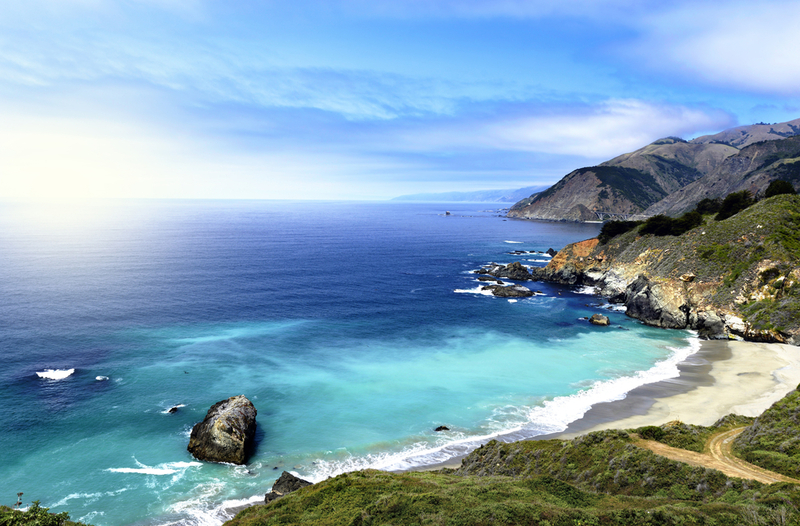 Are there any West Coast holiday destinations that you would include that I definitely haven’t?